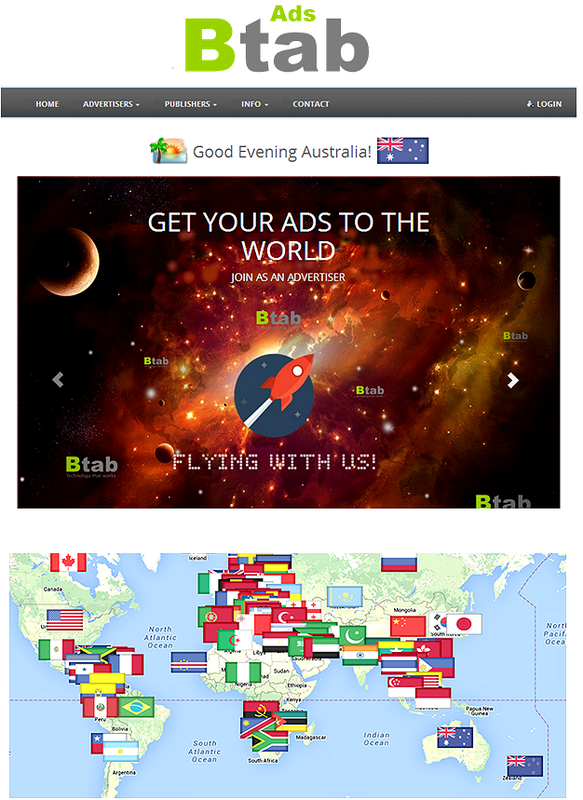 Btab Ads offers affordable online advertisement served on Btab Network. Advertisers may use both banner ads and text ads to advertise their products and services. Our powerful and cost effective advertising system allows advertisers to promote their ads across Btab Network.